The Cultural Diversity at Work Archive has undergone a major redo! The Cultural Diversity at Work Archive, the online database of almost 1500 articles, tools and resources, has been completely rebuilt in 2012 with many new features, including a new advanced search option. Loaded with best practices and innovative approaches, you can find articles on any topic concerning diversity, inclusion and cultural differences in the workplace. 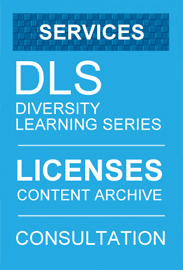 Available only to Content Licensees, a long list of recommended searches are ready to use. Examples include: change resistance, competencies, diversity councils, diversity management, male female mentoring, offensive jokes, and many more. Just click on the Recommended Searches tab once you've logged in!